Contests are a staple tool for motivating people, from encouraging consumers to buy a product or providing incentive for employees to increase their performance. In the latter use case, the opportunity to collaborate as a team that’s provided by a contest helps break up the monotony of everyday work tasks and spark healthy competition. Hence why contests are still used in the business world. For sales people in particular, the idea of a performance-based contest is appealing because in many ways the foundation of selling is competition. Salespeople compete against their company’s bottom line, and must bring in enough revenue to justify their position, or secure a bonus. They compete against rejection, because it’s significantly more common than closing a deal. The nature of a sales job sets the standards for the personality required for the role. And more often than not, the personality of a salesman is one that thrives on competition. But this doesn’t mean that running a sales contest is simple. The proper goals must be targeted, and the correct rewards must be offered. But even getting the basics right might not be enough to adequately inspire your team. Sustained engagement is much harder to come by these days. 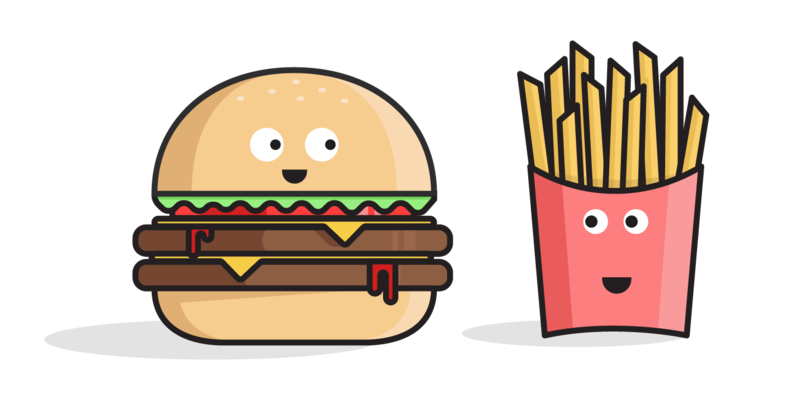 That’s why gamification is a logical partner for sales competitions: inserting game elements to encourage certain behavior motivates people to take certain actions. Coupling game elements with a contest makes for an appealing engagement tool. And while a sales contest will ideally drive higher revenue numbers, gamifying the sales contest model can spur other positives as well, such as team building and self-directed development. 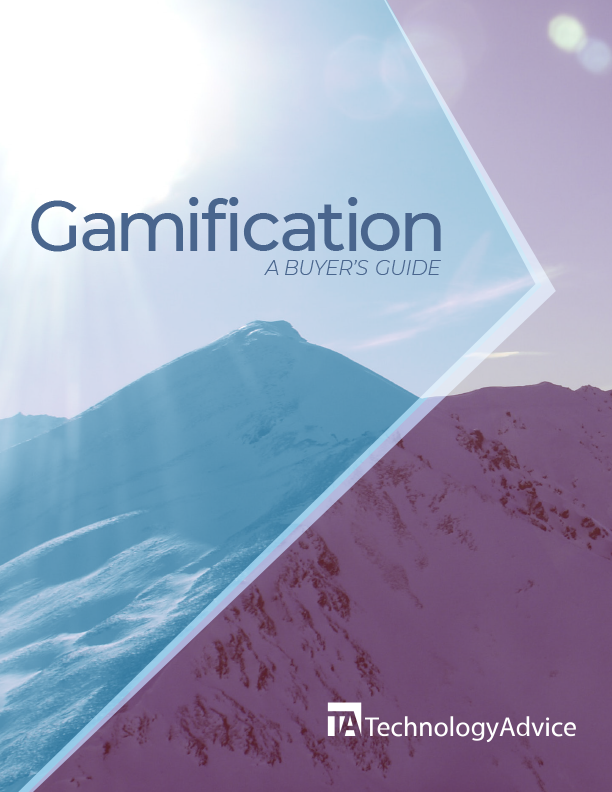 As the gamification market continues to grow, the number of solutions that target sales teams, and more specifically sales competitions, is proliferating. Here are 5 of the top platforms for making your sales contests more effective. Featuring heavy integration with the market leader in CRMs, LevelEleven allows sales managers to create a range of sales contest within Salesforce. 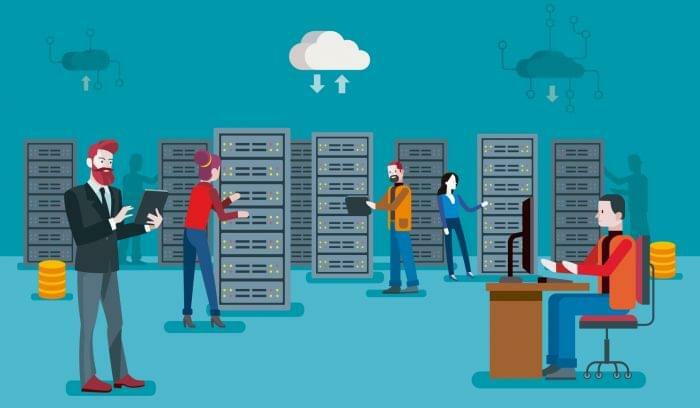 With its completely native Salesforce deployment, this solution positions itself as an innovative complement to software that many organizations are already using. And since Salesforce itself features so much functionality, LevelEleven can be accessed in multiple areas throughout the CRM platform. Designed for sales managers rather than IT, LevelEleven estimates that installation and deployment takes between 20 and 45 minutes after purchase from Salesforce’s App Exchange. Like most of its competitors, LevelEleven allows users great flexibility when creating contests, which for sales teams means the incentives can range from setting more meetings to following up in a consistent fashion. Contest created in LevelEleven don’t have to just focus on revenue; they can also be built to motivate best practices that help sales reps close more deals in the long run. To keep remote workers engaged in the sales contest fun, LevelEleven also offers mobile integration as well as access from Salesforce’s Chatter app. Pursuing the idea of gamifying a sales contest in a very literal way, FantasySalesTeam’s platform uses fantasy sports simulations as a framework for sales competition. Each employee drafts a team composed of their coworkers, and can change the team from week to week. Employees are given different positions to ensure that everyone gets drafted. And since sales reps are relying on each other to win the competition, this system actually creates an environment of collaboration, instead of pure competition. But before the competition begins, managers must choose which metrics to incentivize, as well as rewards that correspond to performance achievements. Once the scoring logic is completed, managers can aggregate scoring in three ways: through integration with a CRM like Salesforce or Microsoft Dynamics, in Excel and FantasySalesTeam’s native dashboards, or with the software’s API. 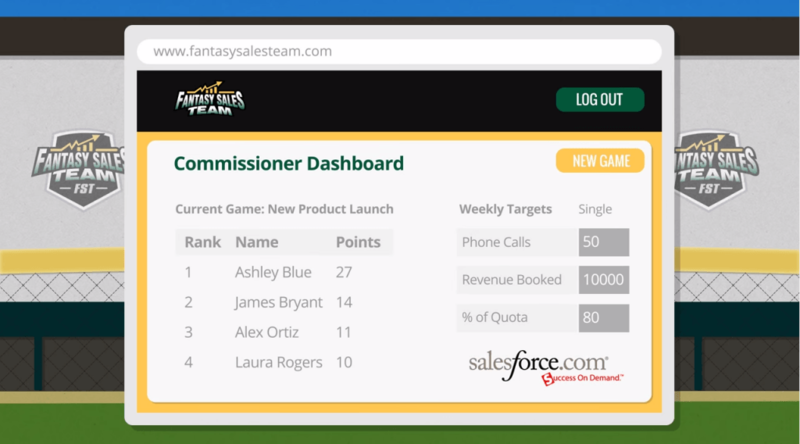 To keep employees engaged, FantasySalesTeam ranks players on a leaderboard and displays their progress towards their next accomplishment. Sports simulations cover all the basics: basketball, football, soccer, baseball, and racing. 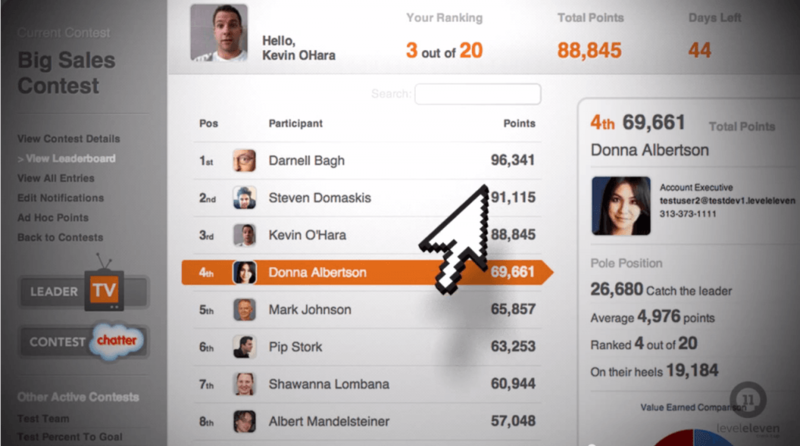 Winner of the 2012 Customer Choice award on the Salesforce app exchange, Hoopla’s most unique feature is the visual cues it uses to motivate sales reps. This Software as a Service platform allows for a wide range of customization when creating sales competitions – managers can actually run as many contests as they want, in order to increase any number of metrics. Where Hoopla differentiates itself is with its streaming video capabilities. 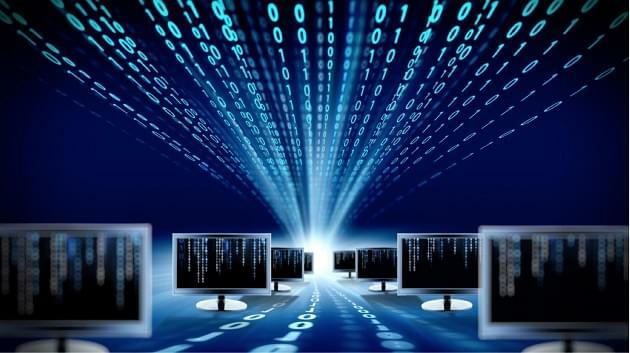 The system can be accessed from a computer screen, but is best displayed on a larger monitor that the entire department can reference. When a sales rep meets one of his goals, he can choose to celebrate through Hoopla. Celebrations range from ringing a digital sales gong, playing a preselected song, or even broadcasting a video for the entire office to see. Hoopla’s digital celebrations are a clever method for recognizing sales reps during competitions. The ability for reps to choose their own type of celebration provides them with ownership over their accomplishments. Available in English, French, German, Spanish, and Portuguese, Monitae’s cross language ability makes it a good choice for managers with global sales teams, or for organizations based in Europe. 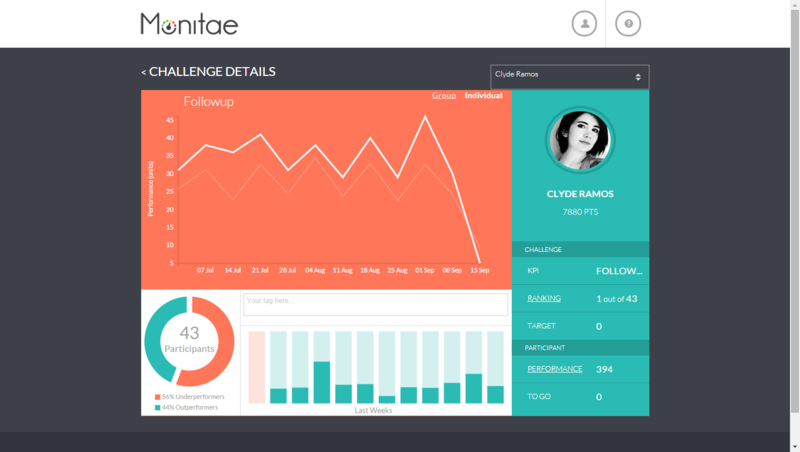 Monitae offers all the basic features found in sales competition platforms, such as customizable metrics, rewards, and team composition. Featuring a usable, minimalist interface, Monitae is especially effective at increasing CRM adoption and reenforcing best practices. If sales competitions are structured to involve data entry in a CRM, Monitae can encourage reps to complete customer forms by sending automated emails and text messages to reps that close an account with incomplete information. In order to offer this option to a wide user base, Monitae also integrates with a number of CRM and ERP products. 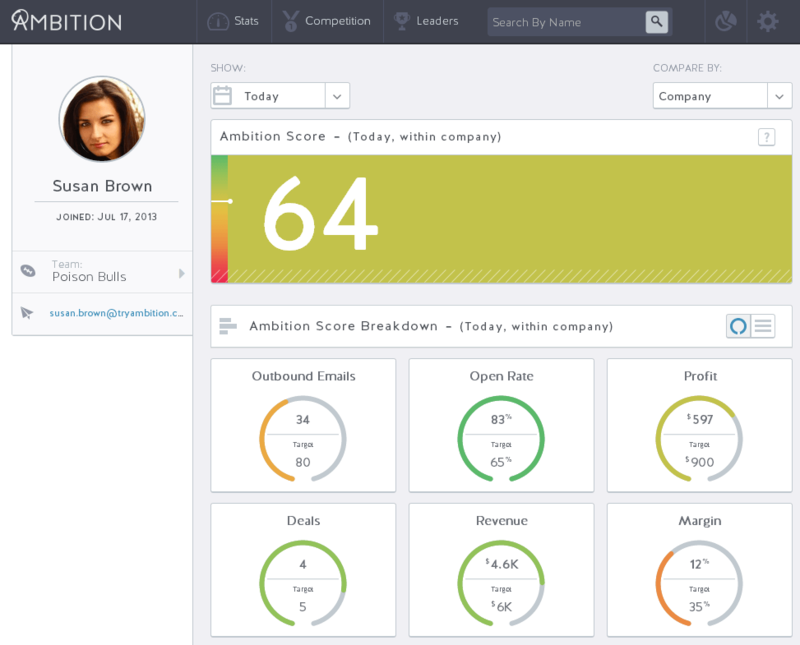 Ambition features some of the most in-depth analytics of any platform in the sales competition market. Drawing inspiration from the platform’s name, the Ambition Score represents a combination of performance goals assigned to each particular employee. Like FantasySalesTeam, Ambition allows managers to break departments down into teams and run competitions between departments, or even between specific reps. While Ambition doesn’t embrace the fantasy sports strategy as fully as FantasySalesTeam, this platform does supply managers with a means to run weekly sales competitions. The Ambition Score represents the main KPI across the system and in head to head competitions. 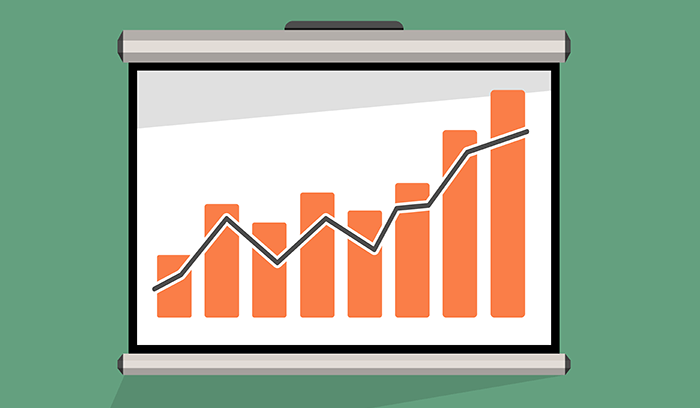 Managers can also track how employees are progressing with the Ambition Curve, a dashboard that highlights weekly performance, and showcases improvement over time. Ambition also integrates with a number of phone systems, making it easy to gather telemarketing or customer service data and integrate it into a rep’s score. Creating and managing sales contests has grown more time consuming and complex in step with the greater amount of technology that sales departments now use. To help managers reduce the time involved in creating and deploying sales competitions, gamification products that integrate with employing-facing systems are becoming more common. On closer examination these programs do much more than simply pit sales rep against sales rep. 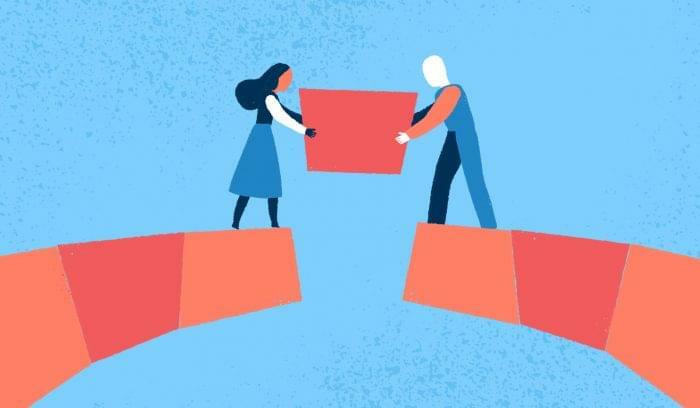 Instead, each platform has small wrinkles that often create an environment of both competition and collaboration, both of which help managers progress toward the ultimate goal: increasing performance and upping the bottom line. If you’re looking for a solution like the ones above, see our comprehensive directory of sale contest programs.